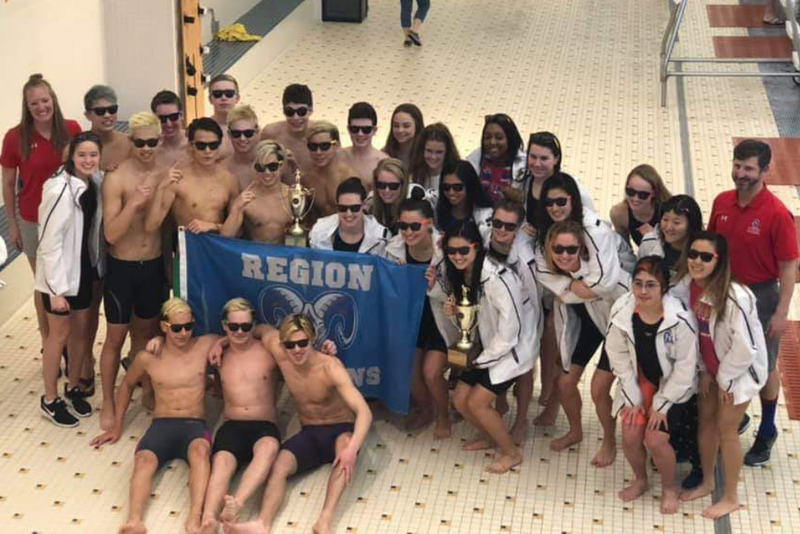 Sterling, Va. — The Riverside High Schools boy and girls swim teams combined to win eight individual championships en route to sweeping the team titles at the VHSL Region 4C championships on February 8 in Sterling. For the Rams boys, junior Otto Gerstl won the 100-yard freestyle, senior Jackson McCummings won the 50-yard freestyle and sophomore Robert Quan won both the 200-yard individual medley and 500-yard freestyle. On the girls side, junior Allison Kopac won both the 200- and 500-yard freestyle events and senior Claire Nguyen won both the 100-yard freestyle and 200-yard individual medley. 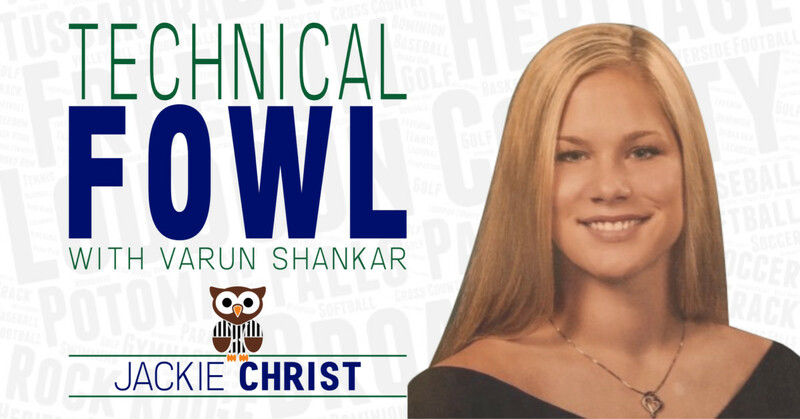 Other Loudoun champions include Woodgrove sophomore Daphne Bernal (100-yard breaststroke), Dominion sophomore Andrew Blusiewicz (100-yard butterfly), Loudoun Valley senior Sean Conway (200-yard freestyle and 100-yard breaststroke) and Dominion junior Rachel Schlemmer (100-yard butterfly).